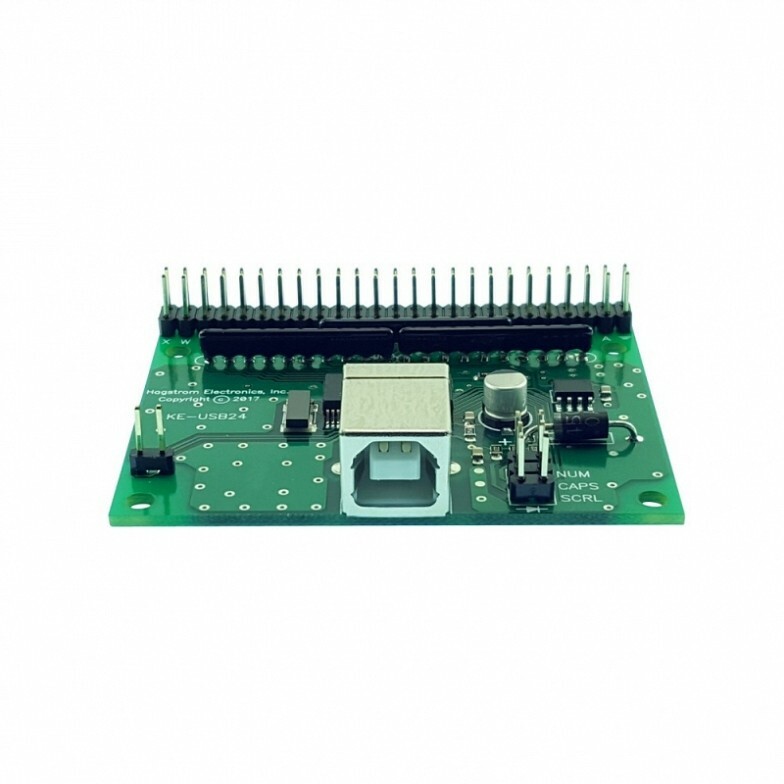 ﻿ Keyboard Encoder - Model KE-USB24 - Hagstrom Electronics, Inc.
Programmed directly via the USB port of the computer through a standard USB A-B male/male cable. 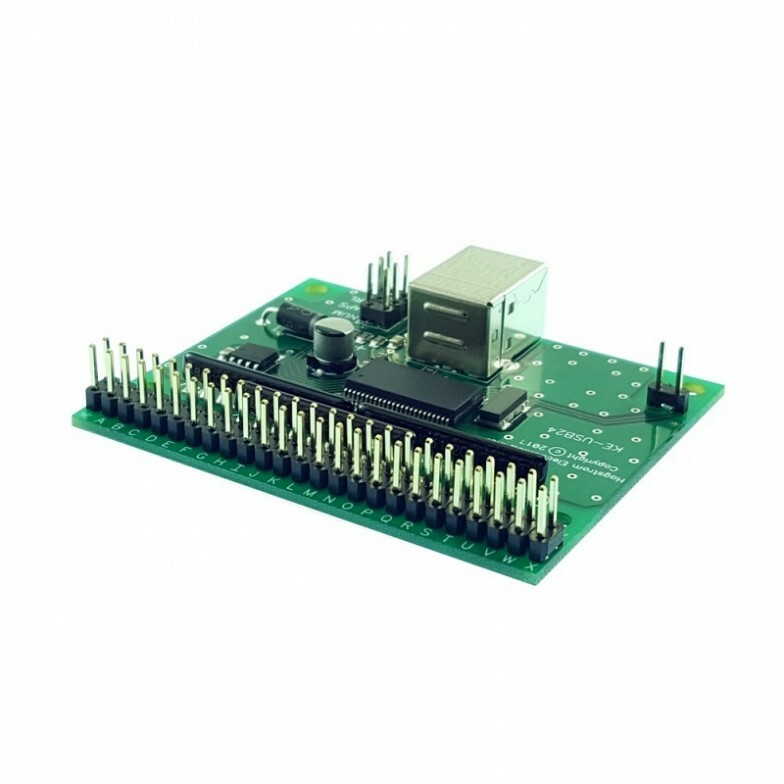 Programmable interface can scan up to a 12 Row x 12 Column Matrix for a total of 144 inputs. 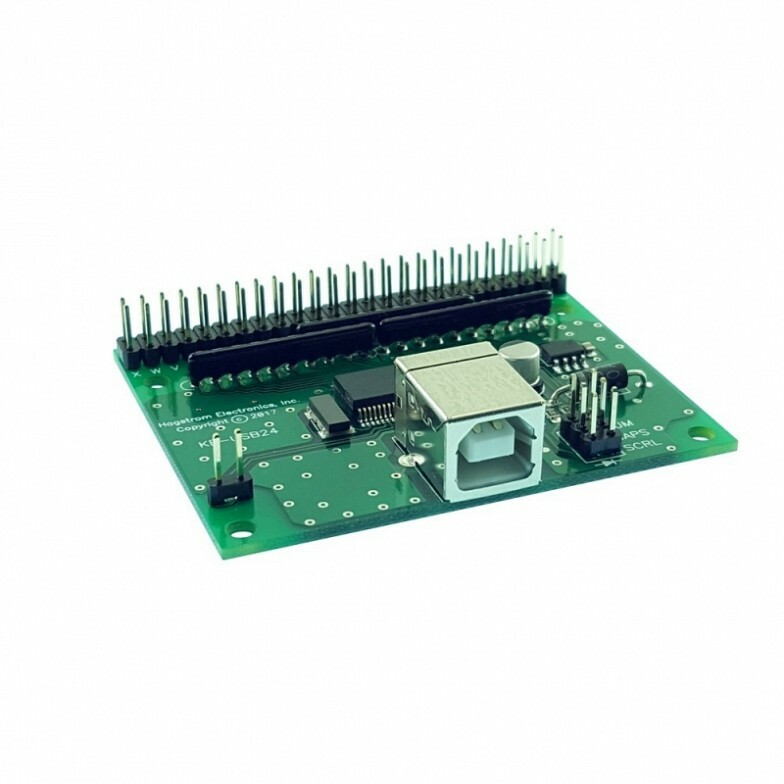 Any pin of the KE-USB24 header can be programmed as a Row or Column, allowing direct connection to off-the-shelf keypads and eliminating the need for any special wiring. All power for the KE-USB24 is taken directly from the computer’s USB port, no additional voltage supply is needed. Multiple KE-USB24 units may be connected to the same computer. Supplied with a printed user manual and disk containing computer applications which are used to configure the KE-USB24. A perfect solution to interfacing matrix keypads for use as a USB keyboard on a computer! The KE-USB24 Keyboard Encoder interfaces keypads, switches, or other input devices to the computer's USB port to generate keystrokes when the keypad buttons are activated. 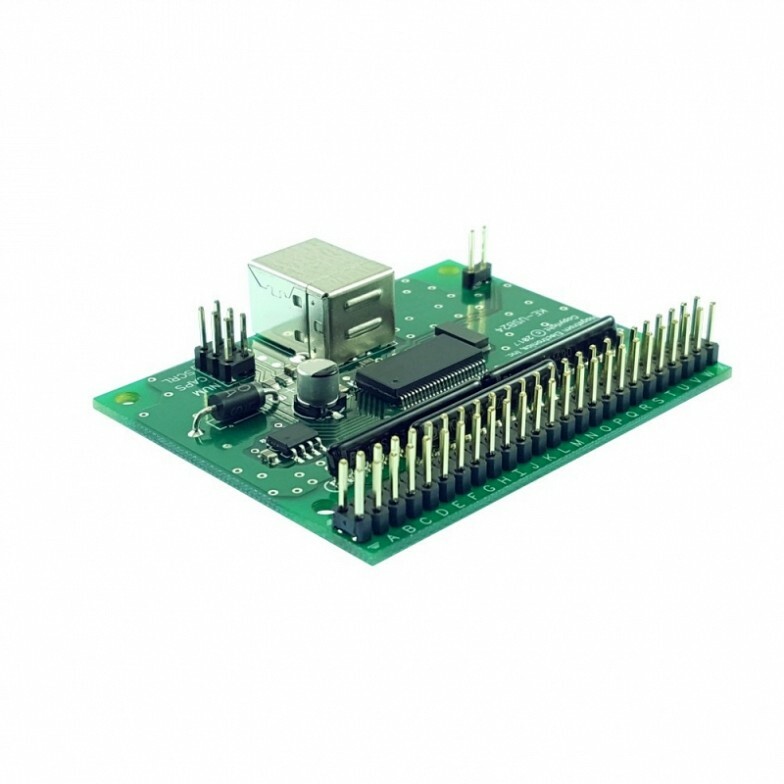 The KE-USB24 features 24 programmable scanning pins each of which may be programmed as a row or column in a matrix. 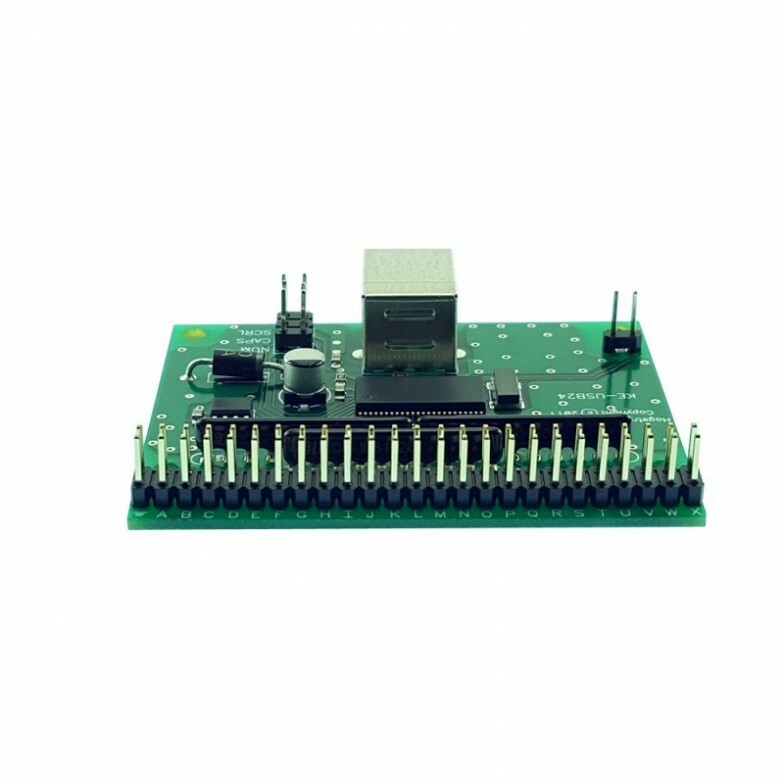 This programmable pin feature allows for direct connection of off-the-shelf keypads, scanning any size matrix up to a 12 Row x 12 Column matrix for a total of 144 inputs. 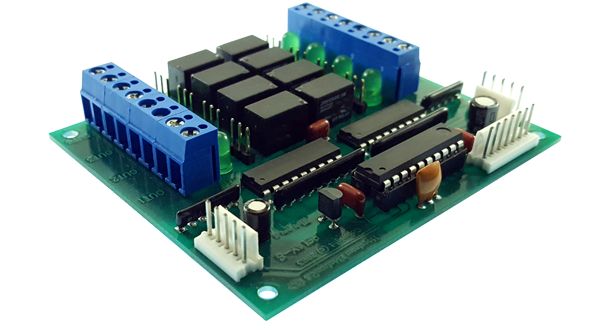 The inputs from the scanned matrix are debounced by the KE-USB24 to assure ultra-fast and accurate responses to switch activations. 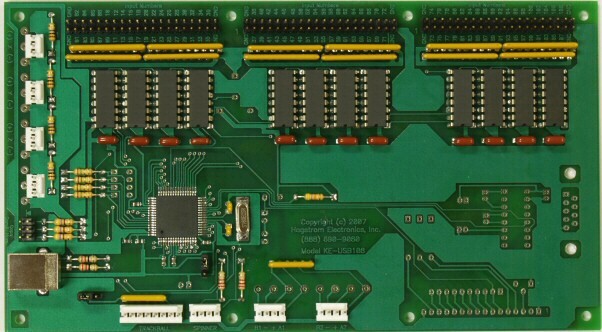 The .100” centered pins on the input header accept most membrane switch tails directly. 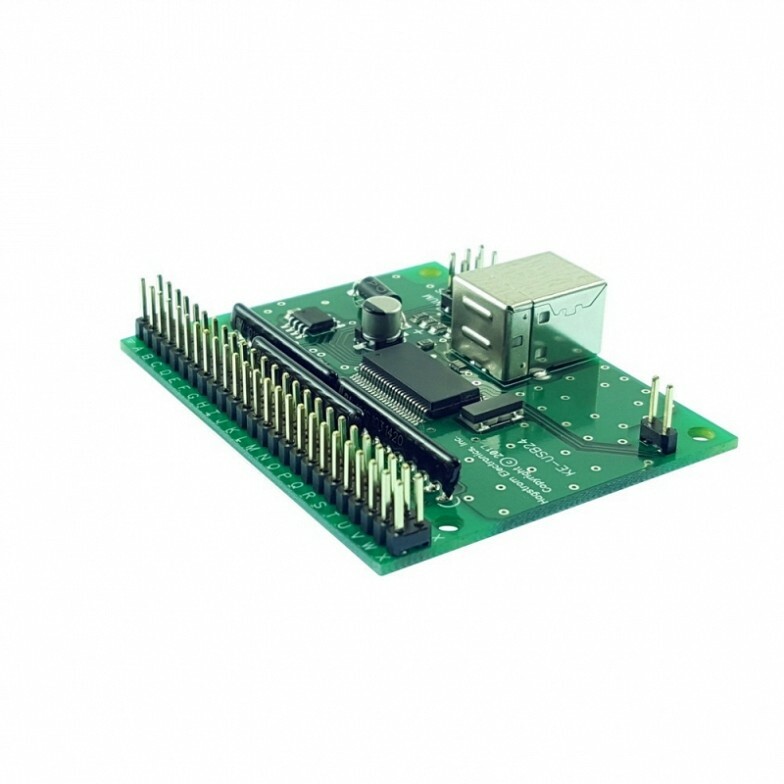 The ability of each pin to be configured as a row or column in the matrix eliminates the need for any special wiring between the keypad and the KE-USB24 header. Each switch position in the scanned matrix can be programmed to emulate any standard keystroke, including keystrokes modified by Shift, Alt, or Ctrl. (Example: Ctrl+F1). 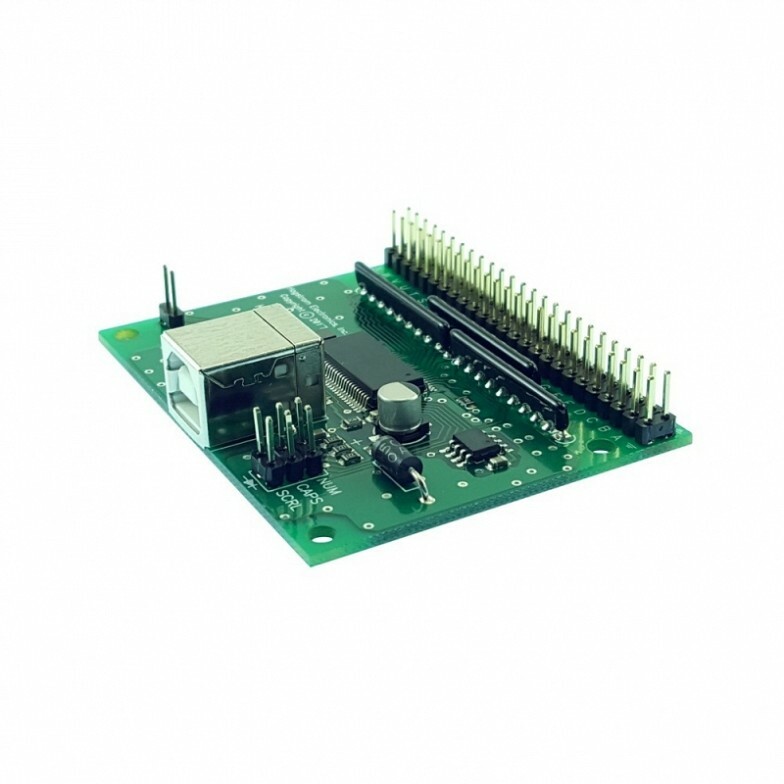 Once programmed, the configuration is stored on the KE-USB24 in non-volatile memory. The unit is programmed directly via the USB port of the computer through a standard USB A-B male/male cable. A printed manual and disk containing computer applications are provided for the user to configure the KE-USB24. Configurations developed using the included programs may be saved to the unit as well as to the computer. 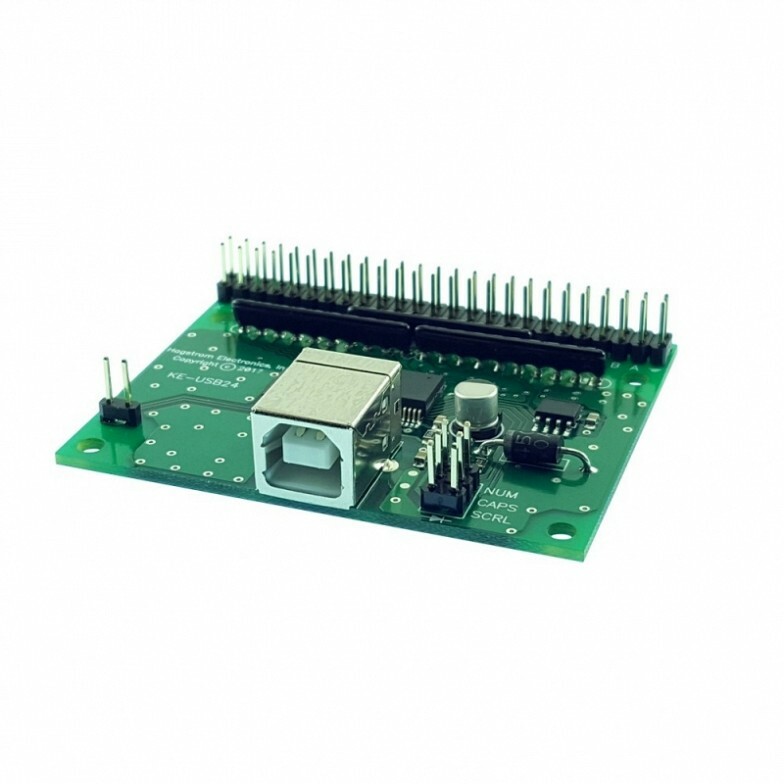 The programming application is a quick and easy way to set up the KE-USB24 for a specific application. 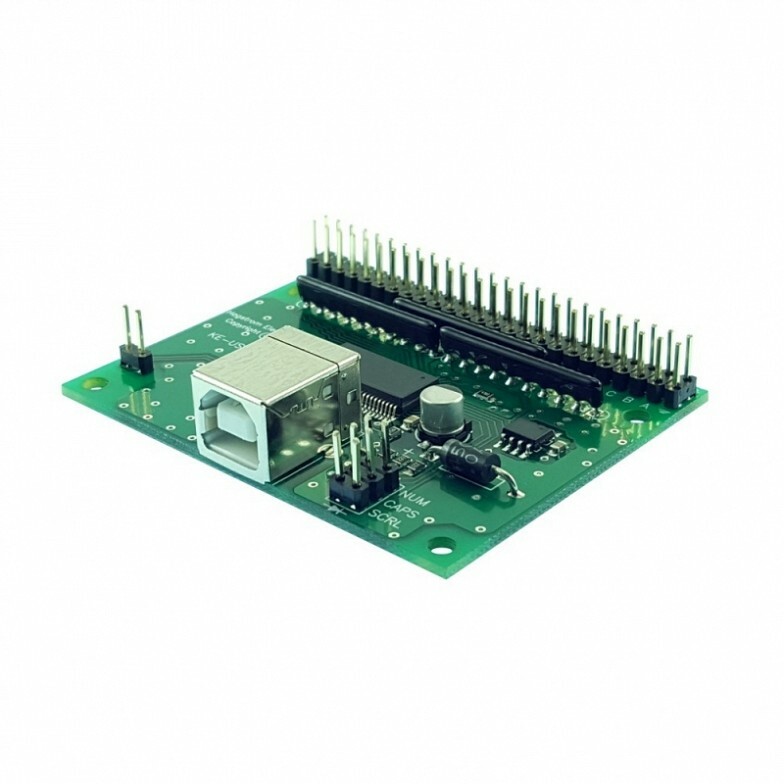 The KE-USB24 features a 2x3 header for connection to status LEDs for Num, Caps, and Scroll Lock indicators. 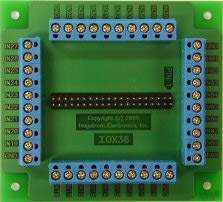 Current limiting is integrated on the board, allowing LEDs to be connected directly to this header’s pins. 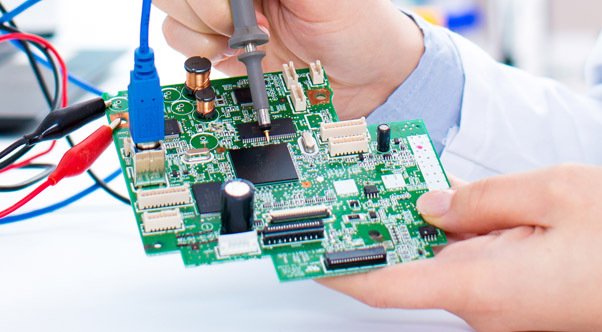 Connection to this LED header is not required, but the feedback for one or all of these status indicators is useful in many applications. All power for the KE-USB24 is taken directly from the computer’s USB port, no additional voltage supply is needed. 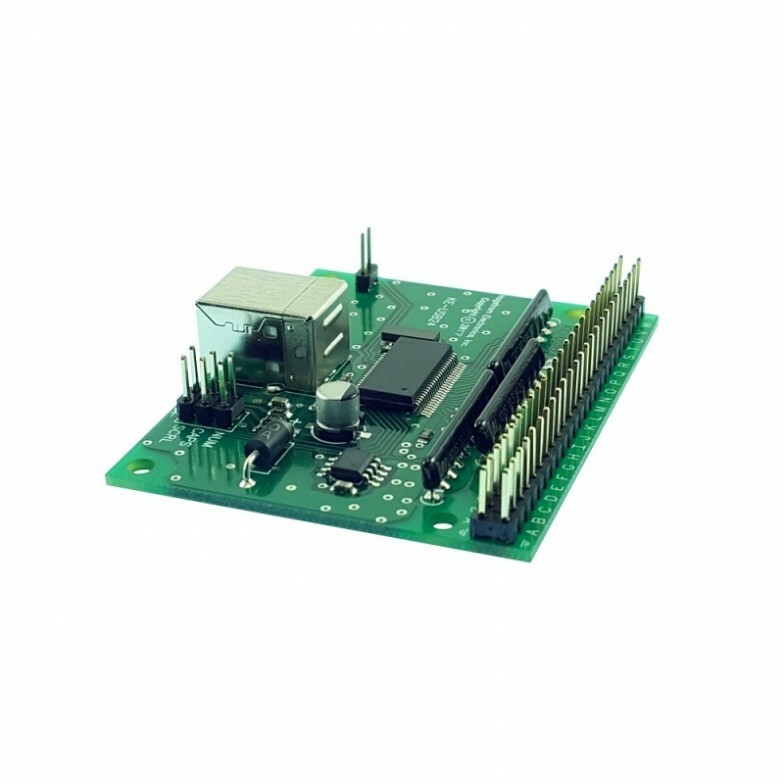 Because the KE-USB24 emulates a standard USB keyboard, no special drivers are required. 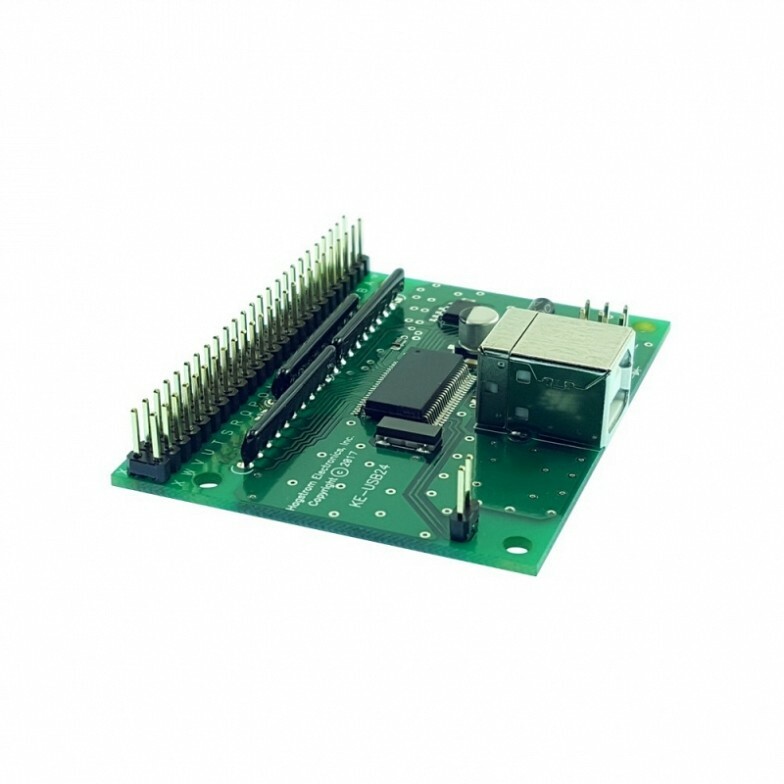 The KE-USB24 can be used on any computer device that supports a standard USB keyboard. 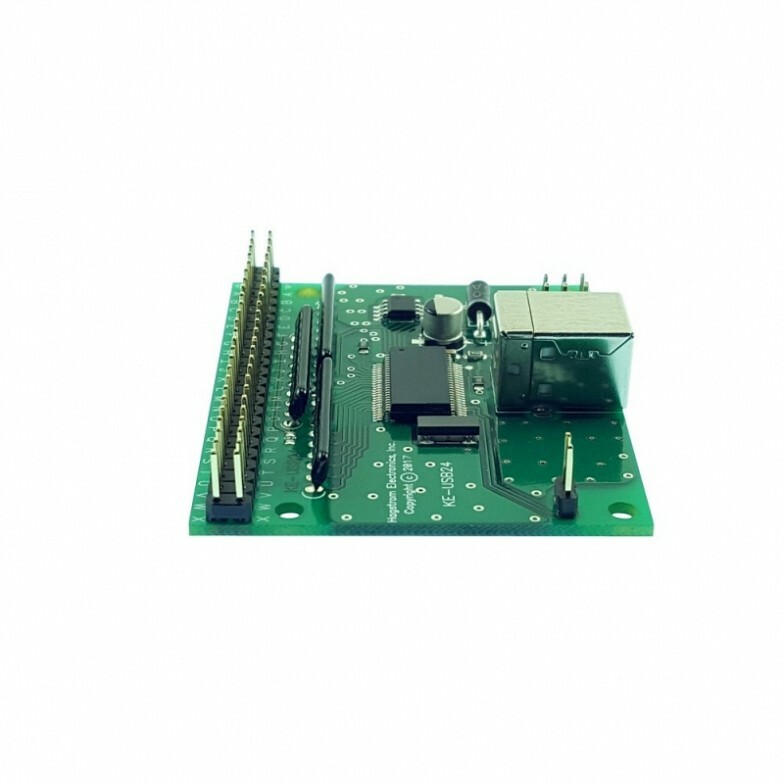 This unit will work as the only keyboard on your computer or in addition with other USB keyboards, PS/2 keyboards, or other devices attached to your computer. Have an application with special requirements such as extended key sequences, or other needs? 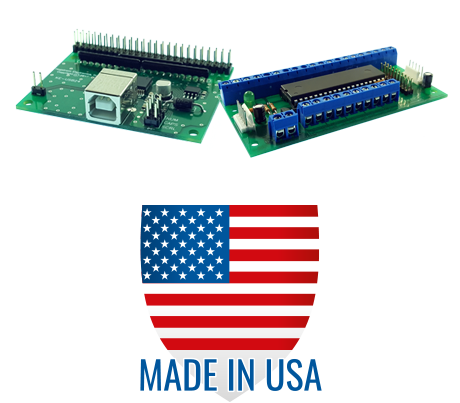 Please contact us, we can quickly and cost effectively create a customized version of the KE-USB24 to meet many specialized options. KE-USBMM6 - Male/Male Type A to Type B USB cable to connect from the KE-USB24 to the USB port on the computer. Length = 6 feet. 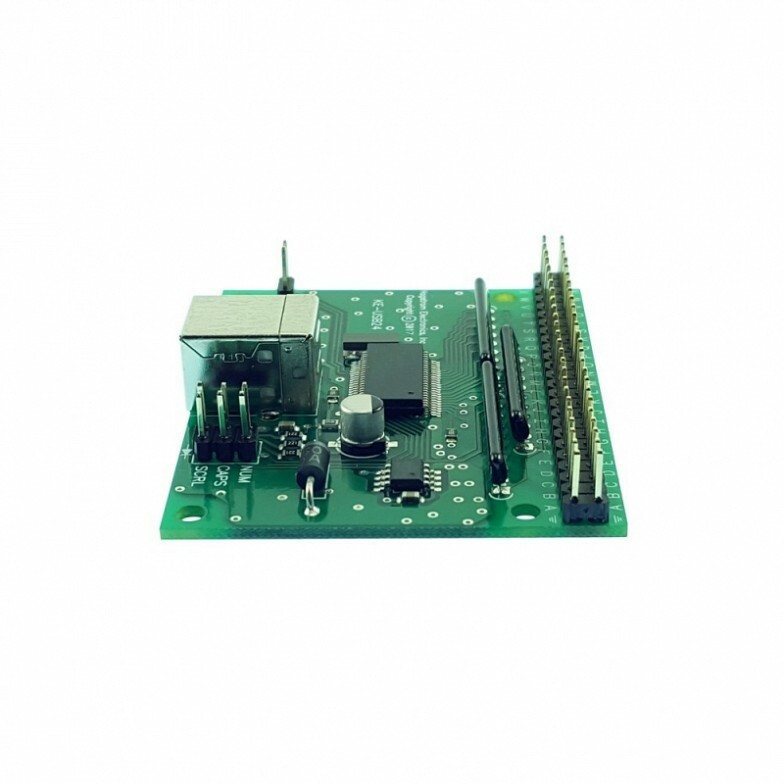 *MTA100-12-12 – A Female 12 wire cable harness set that attaches to the KE-USB24 input header, providing 12 inches of loose wire for each input pin. Length = 12 inches.